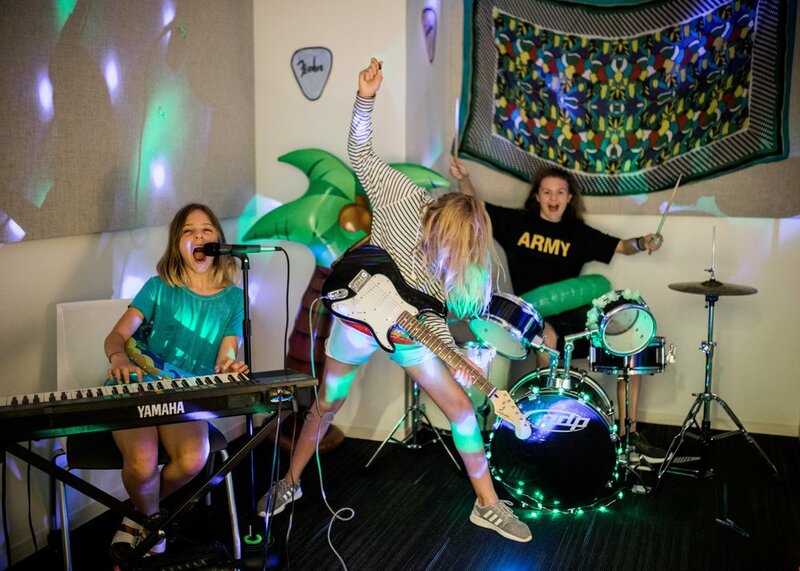 Trust Tree is a nonprofit music and art camp for girls founded in 2017 by musician and arts educator Correne Spero with a whole lot of support from friends, fellow musicians, and the Little Rock community. In the “Trust Tree”, we focus on helping girls build confidence through songwriting and visual art projects. Our camp is led by a group of female musicians, artists, and arts educators with decades of experience creating, performing, and teaching. At Trust Tree, we meet each girl where she is in terms of level, ability, and personal artistic goals and we provide the tools, instruction, and support to get her to the next stop on her creative journey. In every aspect of our camp, we aim to create a space where girls feel respected and validated. Through a combination of group activities and one-on-one mentoring, we help girls bring their creative visions to life and overcome self-limiting beliefs about what they can accomplish. Making our camp an accessible resource to girls from diverse backgrounds is essential to our mission. We work hard to provide scholarships to all girls who need them, and we emphasize kindness and respect for our differences, as much as creativity, music, and art. We love our work uplifting girls in Central Arkansas through the arts. Thanks for joining us on our journey!